Item # 307805 Stash Points: 4,495 (?) This is the number of points you get in The Zumiez Stash for purchasing this item. Stash points are redeemable for exclusive rewards only available to Zumiez Stash members. To redeem your points check out the rewards catalog on thestash.zumiez.com. 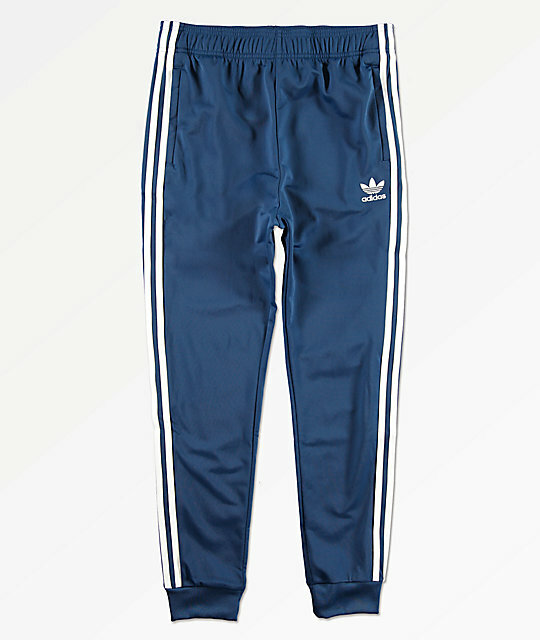 Get a classic athletic style in new colorway with the Trefoil Marine Track Pants for kids from adidas. Featured in dark teal, these athletic pants feature adidas' signature 3 stripe details along the legs for a timeless look. Complete with front zip pockets and an elastic waistband, these active pants are the perfect combination of comfort and style. 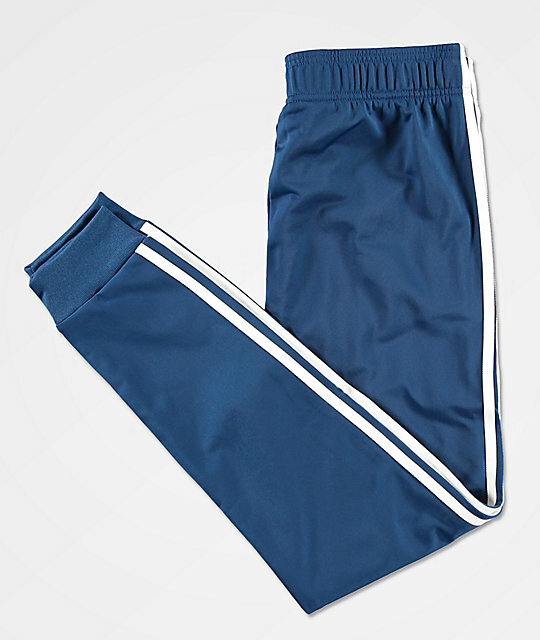 Boys Trefoil Marine Track Pants from adidas. Dark teal colorway with adidas 3 stripe details along the outseams. Embroidered adidas Trefoil logo on the left hip. Two front hand pockets with zip closures. Measurements taken on a size Youth Large and may vary by size.